With the holiday season fast approaching everyone is scrambling to get ideas of what to get their friends and loved ones. Quill and Quire, Canada’s Magazine of Book News and Reviews, has come up with a holiday gift idea list for every book lover that you might have on your shopping list. It features books for children, teenagers and adults from a variety of publishers. Whether you are looking for something artsy, thought-provoking or just a fun read, this list is sure to help you out. Adopted as an infant, Gee has been kept ignorant of his troubled past. Now, at sixteen, he is a loner both despised and feared by his classmates. Dark feelings slowly grow inside him, but as he struggles to control them, his past catches up with him. Abandoning his adoptive grandmother and the place he has called home, Gee is compelled to travel to Half World, one of the Three Realms all living things must pass through. Fractured at one time, the Realms of the Flesh, Spirit and Half World have been reunited, but they are at risk: their fate rests on Gee’s own journey of self-discovery. With two unlikely companions, a heartless cat and a self-destructive Neo Goth girl, Gee must fight the monstrous and the horrific—and, most difficult of all, he must overcome his own propensity for evil. 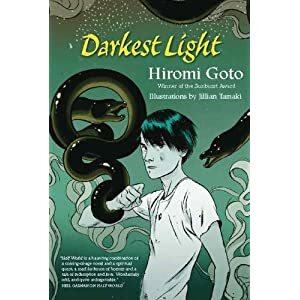 Gripping and mesmerizing, Darkest Light is a compelling journey through despair in a desperate search for redemption. Told entirely through Tink’s hilarious encyclopedia entries, The Encyclopedia of Me is both a literary trick and a reading treat for anyone who loves terrific middle-grade novels. a wave of liberation—coups, revolutions and the end of colonialism. While Oliver rushes toward the action, Marcel is set adrift in swinging London, a city of magic—and a city where he can never quite fit in. Just when it seems they will never be reunited, Marcel is sent to join Oliver in Vietnam. But by the summer of 1963, the war is escalating, and Oliver is finally overwhelmed by his doomed love for Pippa. When Marcel eventually uncovers the shattering truth about his mother, his entire world is rearranged. Now, as his fiftieth birthday approaches, Marcel is asked to take care of his friend’s eleven-year-old daughter, Iris. Prodded by her sharp-eyed company, he reflects on his own bittersweet childhood and the experiences that have shaped his present. Stray Love is beautifully illustrated with original drawings by noted Toronto artist/filmmaker Heather Frise. 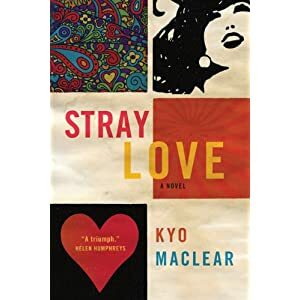 Categories: Personal thoughts | Tags: books, darkest light, gift ideas, hiromi goto, holiday season, karen rivers, kyo maclear, quill and quire, stray love, the encyclopedia of me | Permalink. Random House and Penguin- a merger match? I recently found out about the possible merger between Random House and Penguin. It is still in the talks but it saddens me because it seems that as time goes by, there are less and less publishing houses. It breaks my heart to see bookstores close down due to financial hardships, publishing houses going bankrupt (i.e. Barnes and Nobles) and the book industry changing so much. I understand that each industry needs to adapt to the current trends, whether it is digital technology or print books, but it’s still a shocker. I have seen what happens when news media and television companies merge and become one. The content becomes very similar and there is usually not enough voice/ opinion on what we are seeing or reading in the newspapers. There needs to be a good mixture of sources in order to have the true story heard. I get that in today’s world, everything is a lot more expensive and a lot of company’s want to do things cheaper and quicker, but in doing that, the quality is lost. Here’s to hoping that this merger won’t do too much damage and leave the industry intact with its distinct yet small community. Readers will continue to read, however, if the quality starts to suffer or there is not enough that is differentiated between books, there will be dissatisfaction. We’ll know all the details in two weeks according to the news sources. Lets see whether they will come up with a new name or just hyphenate it. Categories: Personal thoughts | Tags: 2012, book publishing industry, merger, pearson, penguin group, publishing company, quill and quire, random house, technology | Permalink.